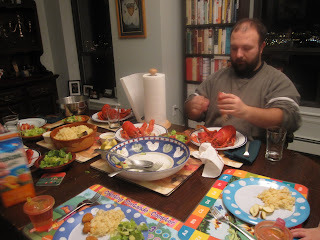 Once Upon A Feast - Every Kitchen Tells Its Stories: Best Lobster Dinner Ever! Update to the earlier post...just look at that color. This has to be the best lobster ever. 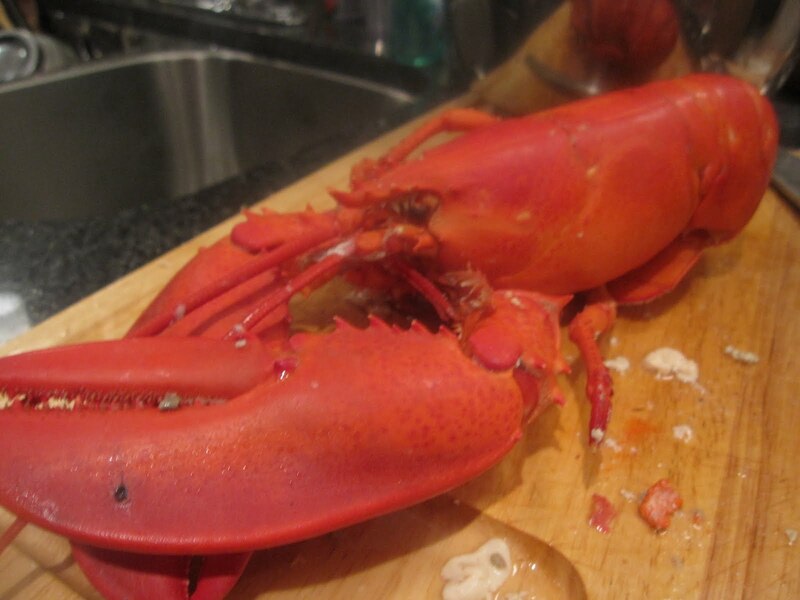 Just steamed - first time for me, and it will definitely be the way to go. Way less "juice" to clean up and so moist and tender. And because it was just caught yesterday - you could really taste the ocean. That's my son-in-law enjoying his - notice the rice my daughter had me make... that no one actually ate because the 1 1/2 pound lobster and a little salad was plenty ... enough said... all but - Thank you Captain Chris! Living in the Maritimes as you do this would my kind of tradition Ruth!